I love trying wine subscription boxes, there is just something about having wine delivered right to my door. I am mostly clueless when it comes to wine, so I enjoy having someone else decide what to send me. 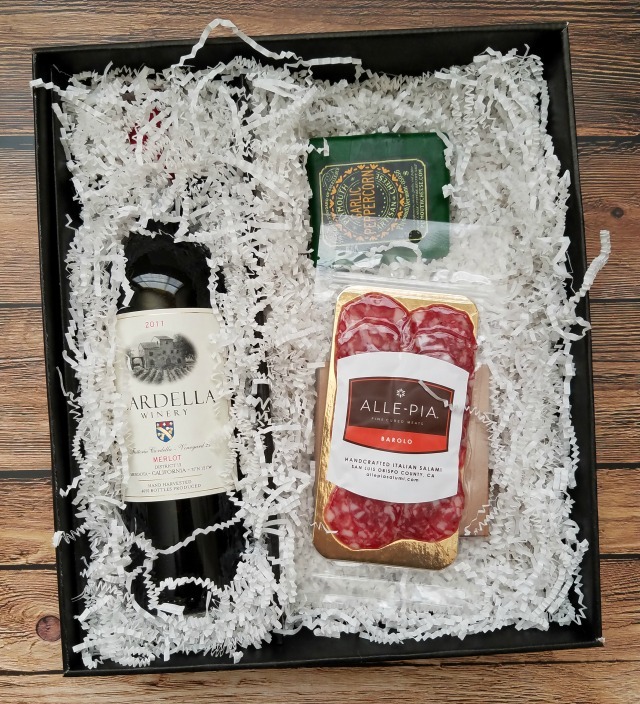 Most wine subscription boxes just send bottles of wine, but Wine Down Box sends wine and food to pair the wine with. This is a box I just had to try. I received a free product in exchange for a review. All opinions and love of wine are my own. This post also contains affiliate links. 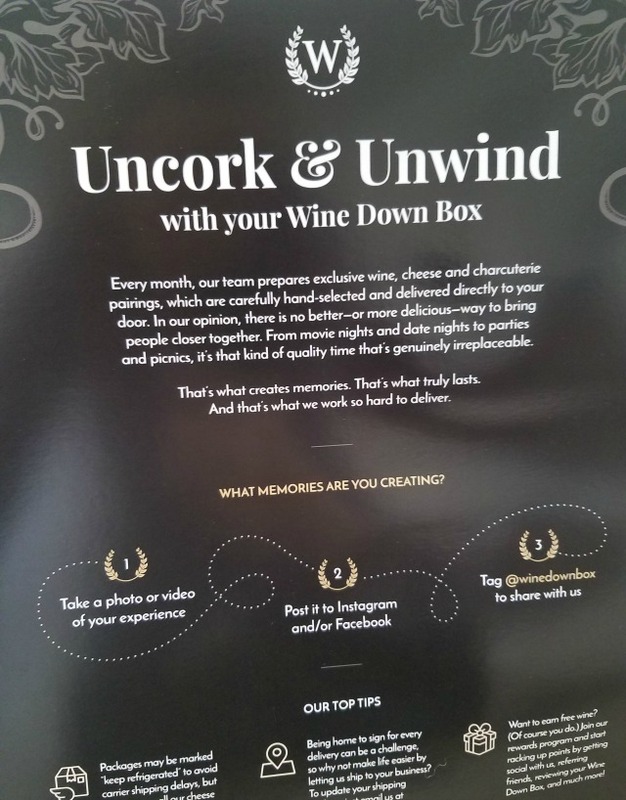 What is Wine Down Box? 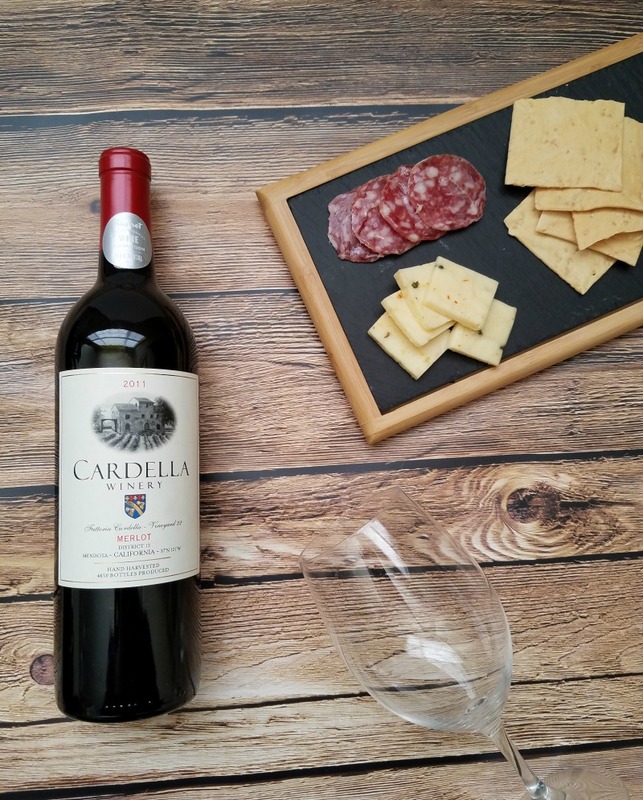 Wine Down Box is a monthly subscription box that sends you wine with cheese and charcuterie pairings. This box is curated by experts and includes small batch California wines. The cost is $70/month, and you can save up to 10% by subscribing for 3, 6, or 12 months at a time. Shipping is already included in the price! Starting 11/19, use code SAVE30WDB at checkout to save $30 on a 12-month subscription. This would make such an awesome Christmas present! 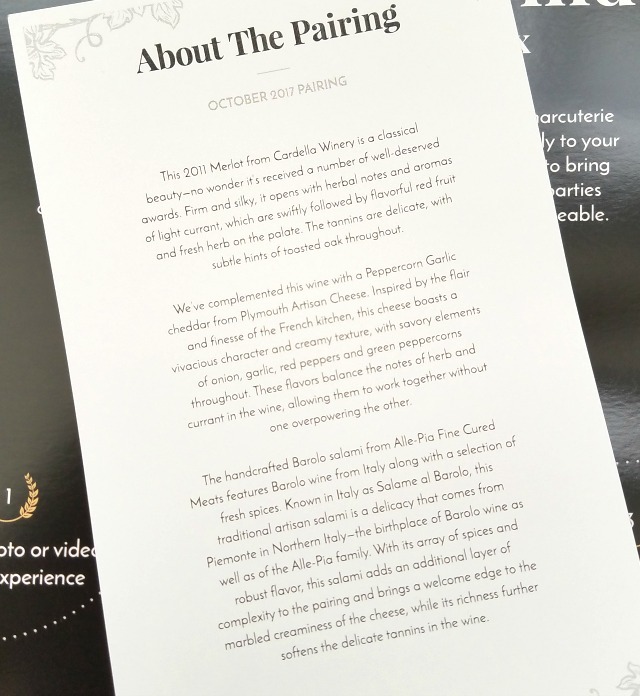 Each box comes with an “About the Pairing” card that tells you about each item in your box, including tasting notes. First, this is such a beautiful box. The box is sturdy and the items come well packed. 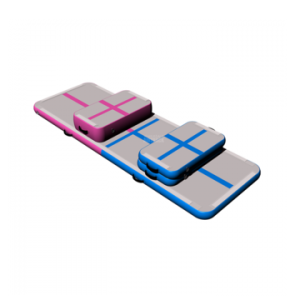 A cloth ice pack (which can be reused!) covers the food to keep it from spoiling during shipping. This merlot has won awards and I can see why. 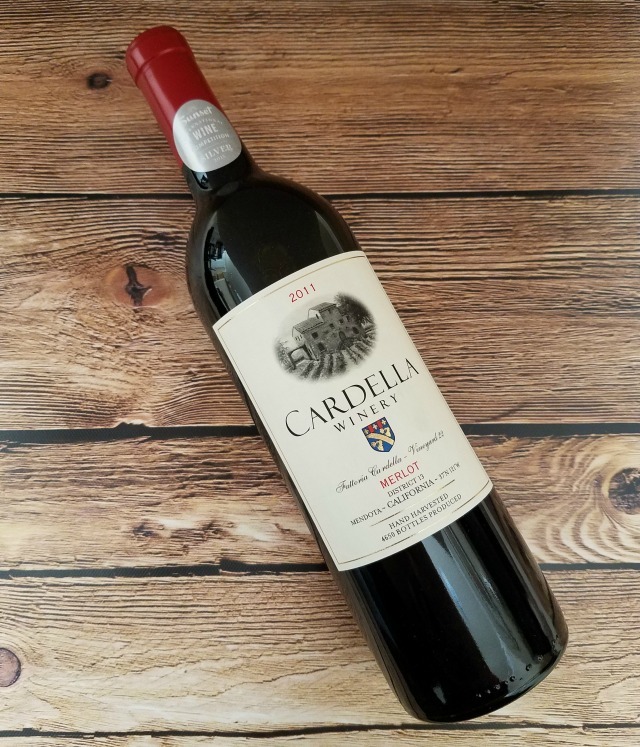 It is described as herbal with red fruit and subtle hings of oak. I thought it paired wonderfully with the food items included. My boyfriend can distinguish between all the flavors as he has an amazing sense of taste and smell. I have a harder time pointing them out, but I can tell when a wine finishes well. This merlot was so smooth. 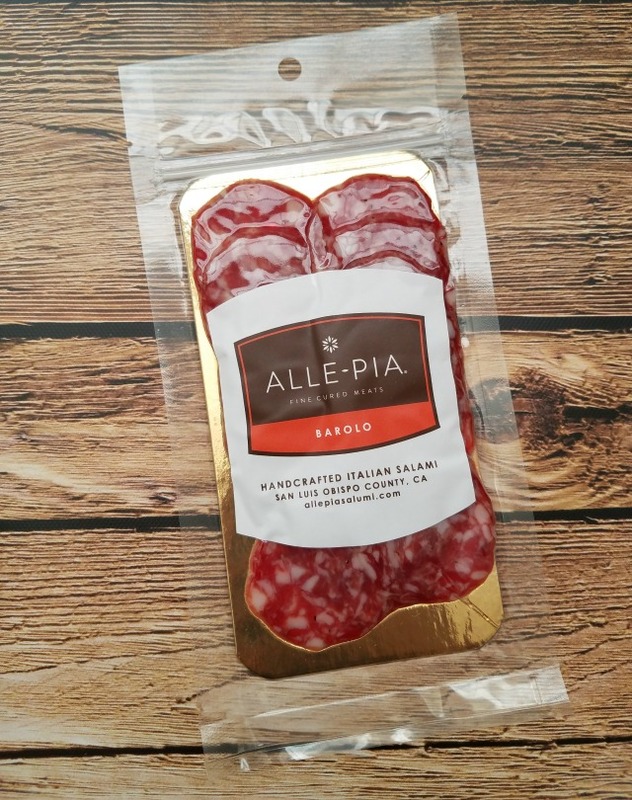 The salami you received in that holiday gift basket doesn’t even compare to this handcrafted Italian salami, I guarantee it. It was full of flavor and tasted delicious with the cheese. 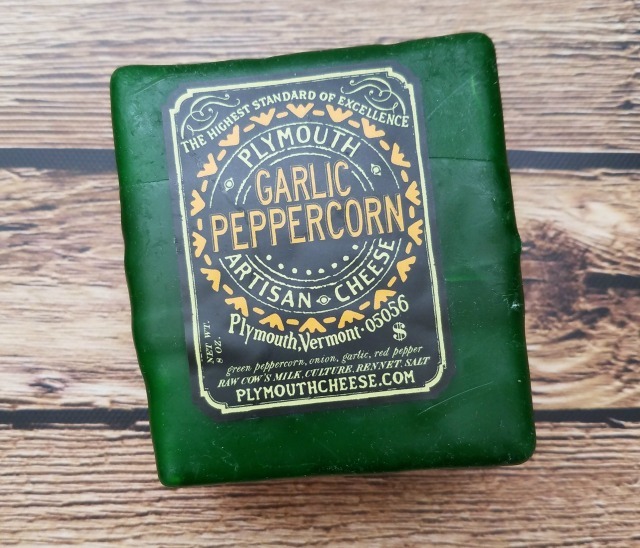 This cheese was so rich and flavorful. It included onion, garlic, red peppers and green peppercorns. Crackers are usually the unexciting part of any gift basket or box. However, these quality crackers pair so well with the salami and cheese. They add a little saltiness and crunch. One bag was not enough! 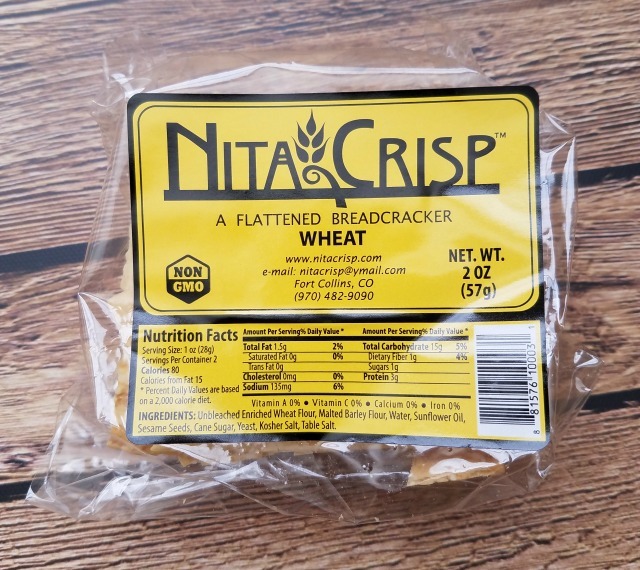 The plain wheat cracker did not overpower the other flavors but enhanced them. Also, they came inside another box so as to not get crushed during shipping. The total value of the contents of the box was $33. I would like to see a higher value for the items in this box, but the real value comes from the careful and thoughtful curation of the experience this box brings. My boyfriend and I enjoyed our little wine tasting date night and couldn’t stop raving about the wine and the food. 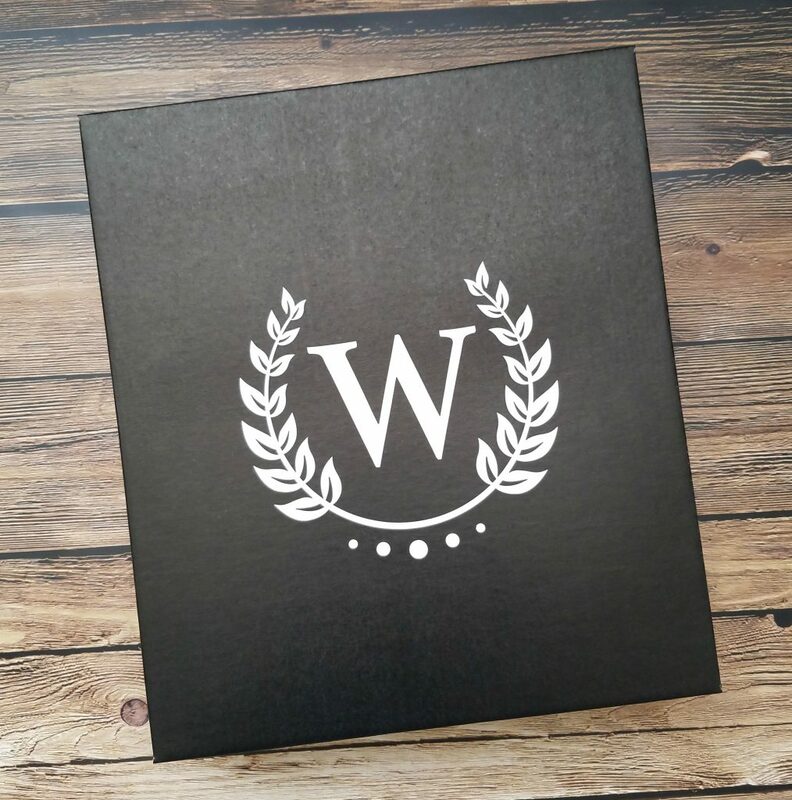 This box is a cut above the rest of the wine subscription boxes on the market and there isn’t another one like it! I am not a wine expert, so I love that the perfect pairings are sent right to my door. And now I have been introduced into some of the meats and cheeses I’ve ever had. I definitely recommend the Wine Down Box. Find out more here.